Is Najib planning a Modi-type demonetisation drive in Malaysia? 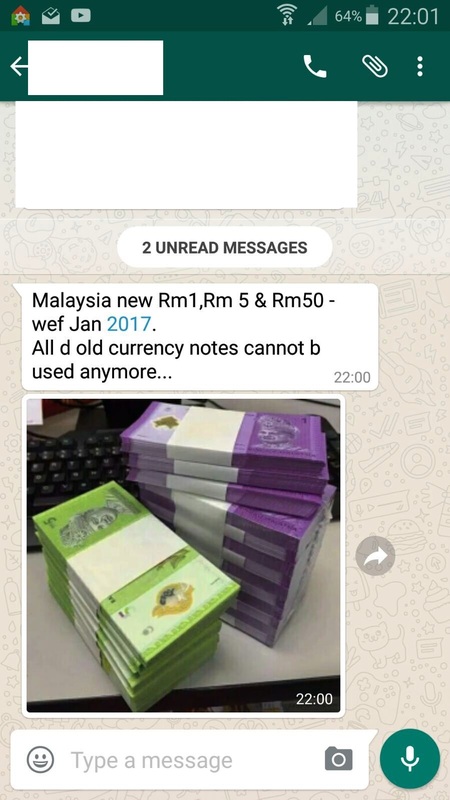 According to chatter that is going viral in Whatsapp chat groups, the Najib administration is planning on a demonetisation effort, which will kick in in January 2017. According to the chatter, the Malaysian government is planning to issue new Ringgit notes with the monetary values of RM1, RM5 and RM50 and make the old notes in circulation redundant. The move if true is reminiscent of what the Prime Minister of India did recently. The Prime Minister, Narendra Modi, made the ₹500 and ₹1000 Indian Rupees notes non-legal tender with effect from 9 November 2016. He did not give any advance notice even to his Cabinet ministers about the move. Modi justified the move as an effort to reduce corruption. Thousands of Malaysians demonstrated in Kuala Lumpur last week against suspected corruption in Prime Minister Najib Razak’s government.